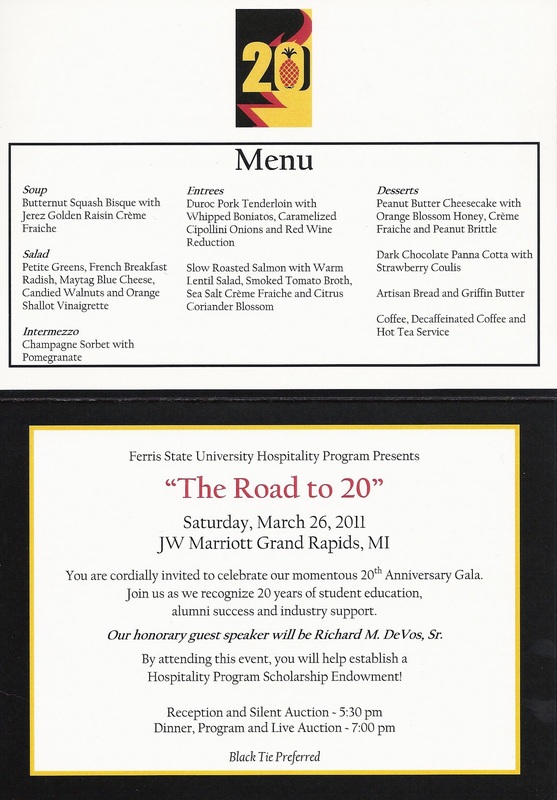 Today, we received the invitation to the 2011 Ferris Hospitality Gala, "The Road to 20," and we are getting very excited to see all of our closest friends while experiencing a night to remember. We received the Save the Date near the beginning of the year, and have been anxiously awaiting the invitation. As a refresher, the Ferris State University Hospitality Programs holds an annual fundraising gala to build funds for scholarships, travel, and equipment for the Programs. This year is the 20th Anniversary of the momentous Gala, and we couldn't be happier to support the very event that brought us all together when we were students. The Road to 20 Save the Date Card... very clever! 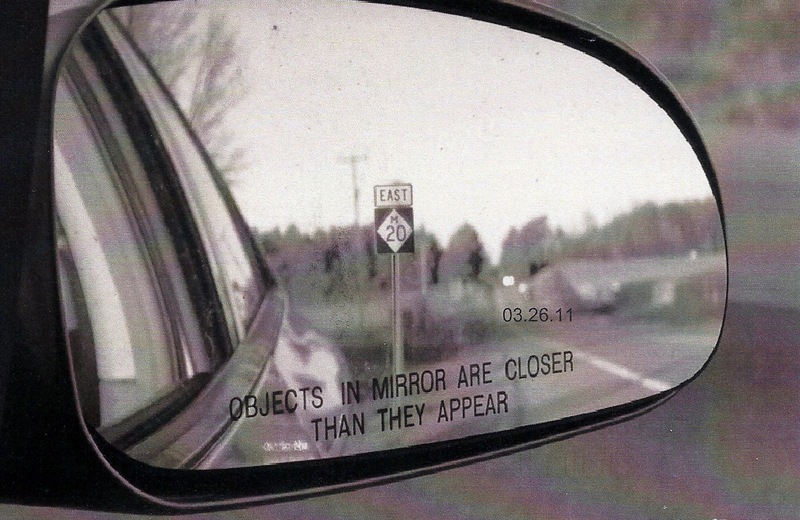 Although the science of reflection tells me the sign should be backward... don't you just love Photoshop?! 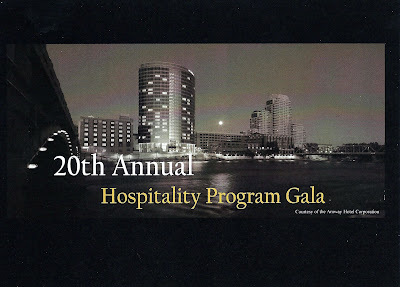 Held at the profound and prestigious JW Marriott Grand Rapids, this year's Gala will host a record number of faculty, staff, students, families, and most importantly, the alumni of the Hospitality Programs. 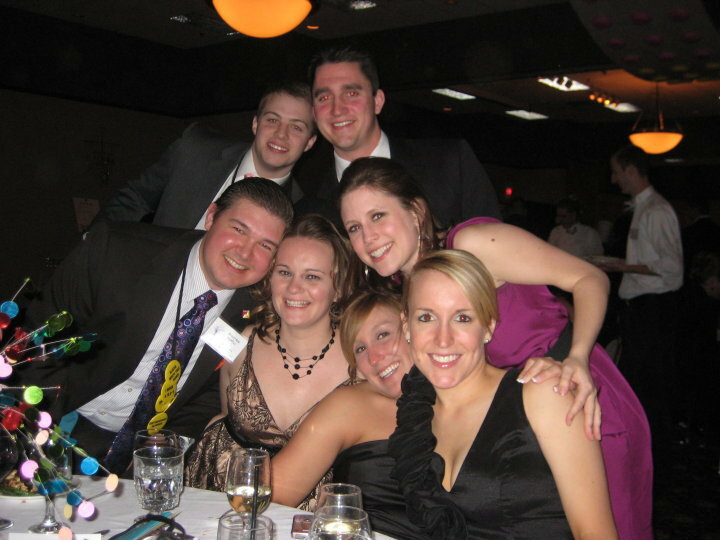 Dubbed, "the year of the alumni," the goal is to recognize all the people who have made the Gala what it is today. A crescendo of importance, and recognition of FSU as housing a hospitality program that can compete in such leagues as UNLV, The Michigan State School of Hospitality, and Purdue. The annual Gala has risen from a "spaghetti dinner for 40" to an elaborate reception, silent and live auction, five-course plated dinner, dance, and entertaining event for over 600 people being held at one of the greatest hotels in Michigan, with expectations of raising an unprecedented endowment for the future students of Ferris State University's Hospitality Programs. To further enhance the relationship between Ferris and Amway, and to give further prestige to this historic event, Richard M. DeVos, Sr., the founder of Amway, will address the massive audience as the honorary speaker for Gala 2011. I can remember hearing Mr. DeVos speak at the opening ceremony of the JW, and it was a humbling and meaningful to heed the wisdom of Grand Rapids' great pioneer. It will truly be an honor to have his words touch all the alumni, faculty, and students of the Gala. The trunk of the Hospitality Programs tree would represent the core Hospitality Faculty who guide the success of every student-run Gala: Amy Dorey, Lianne Briggs, and the Programs' Coordinator, Julie Doyle. Without these three leaders, the Gala would not have reached the 20-year mile marker as successfully as it has today. Their dedication to the education of their students through classroom "ideal" scenarios to hands-on "this is what happens in real life, kids..." experiences, helps prepare the future hospitality professionals of the world in what I consider to be an insightful setting for learning. A huge part of this education is the annual Gala. I can say, without a shadow of a doubt, I would not be the person I am today (professionally or personally), I would not have the networks and connections that I do now, I would not have the dearest of friends that I now cherish, and hell, I wouldn't be married to my wonderful wife, without the guidance and devotion of these amazing people. In my four years of active participation of the FSU Hospitality Gala, I witnessed the transformation of an already well-established fundraiser with a group of students chairing various committees to plan a successful $9,000 profited event, to an evolved corporation-styled management structure recreating the Cuban island with 2x4's and Latin dancers for a skyrocketed $20,000 profited celebration. From A Night in Nashville, to Cuisines of the World, to Venetian Masquerade, to Havana Nights, our journey led us to a successful outcome each Gala season. I have also supported the three Galas since my graduation as a guest: Big Band, World Fair, and A Night With Willie Wonka. 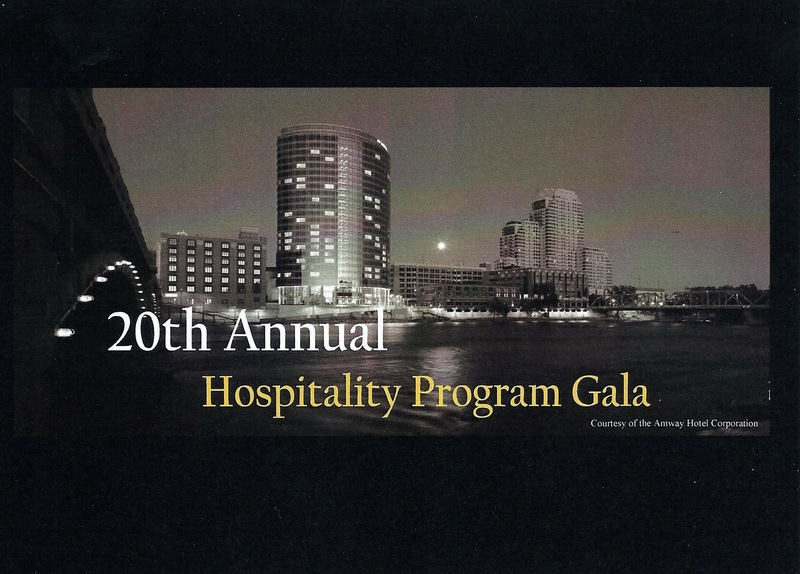 Now, in my eighth season, we are again incredibly excited to support the FSU Hospitality Gala with the hopes of building an endowment fund that will exponentially shatter the previous record ($20,153, if anyone was wondering... [cough] Havana Nights 2007 [cough]...). 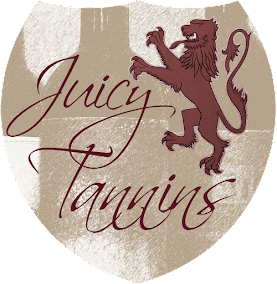 We are so looking forward to supporting the Hospitality Programs, but most of all to enjoy the company of good friends and a great atmosphere at the JW. Look out Grand Rapids, we're on the horizon!